Update – Sept. 20, 2017: Due to the number of requests we have received, this bulletin board registration is now closed. In the event more materials become available, an update will be posted here. All materials are also available to download at the links below. This year has been full of exciting discoveries at NASA as we learn more about our solar system as well as star systems light years away. Want a cool way to share these missions and discoveries with your classroom? Sign up online to receive the latest classroom bulletin board set from the Educator Resource Center at NASA’s Jet Propulsion Laboratory. Bulletin board mailers are limited to teachers at U.S.-based institutions. Requests will be fulfilled in the order they are received. NASA’s Kepler space telescope, which has already discovered more than 1,000 planets beyond our solar system, continues to identify more and more of these so-called exoplanets – some of which have features similar to Earth. (Learn more about these worlds on NASA's Exoplanet Exploration website.) 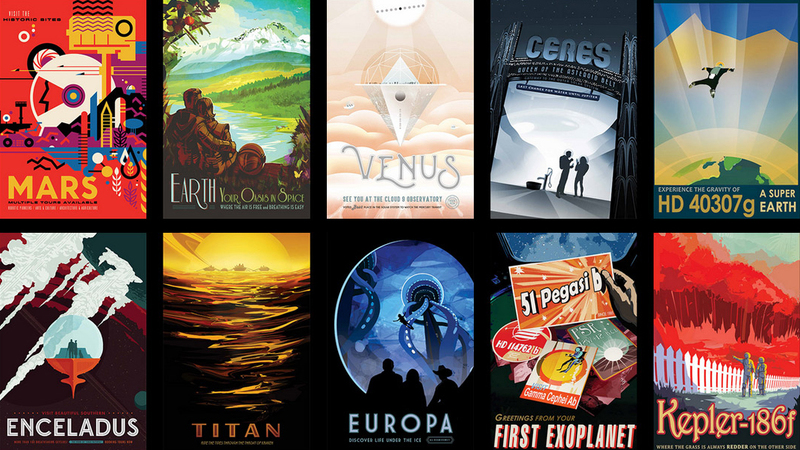 This popular poster set imagines what life would be like on these distant worlds. Note: The bulletin board materials will include a small sample of the full set, which can be downloaded here. 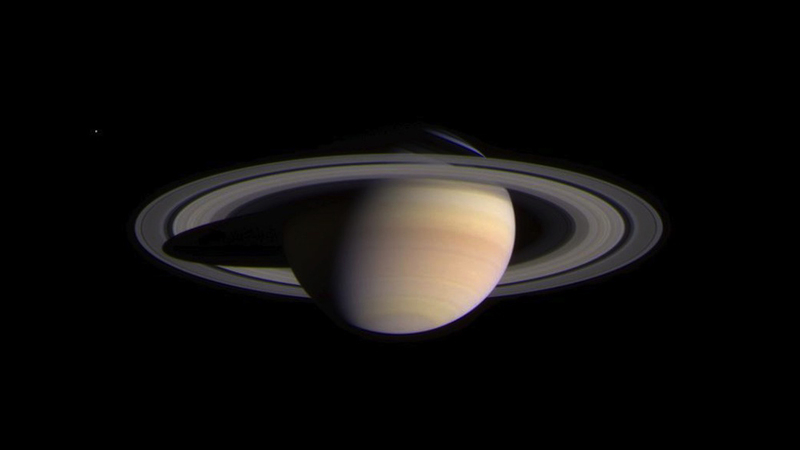 Closer to home, September 15 will mark the end of the Cassini mission, which has spent nearly 13 years orbiting the ringed giant Saturn. Images and science from Cassini have shaped our understanding of Saturn and its mysterious moons, and continue to provide wonder to students. 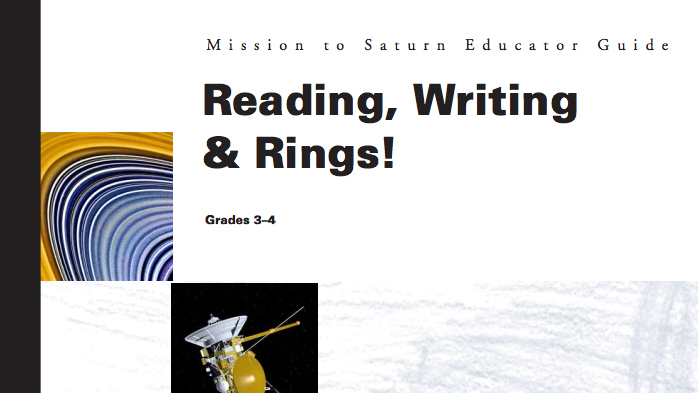 This collection of activities will get students using reading and writing to explore the Cassini mission’s science at Saturn. Find out more about the Cassini mission and its Grand Finale on Sept. 15, 2017. 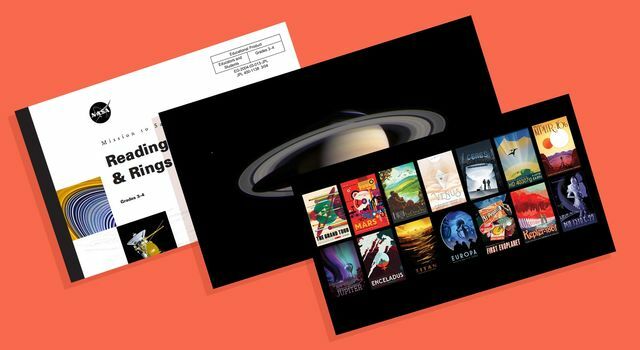 Take in some of Cassini’s best views of Saturn with these NASA postcards featuring images from the mission! Explore more images from the Cassini mission at Saturn. Visit our educator resources page for more downloads and online resources.